I have been lucky in the jobs that I have had to be able to meet and work with some of the best vendors in my industry. My new current job is no exception. The Knot wedding magazine asked us to create some bouquets for them for a segment on the Today Show this past week. 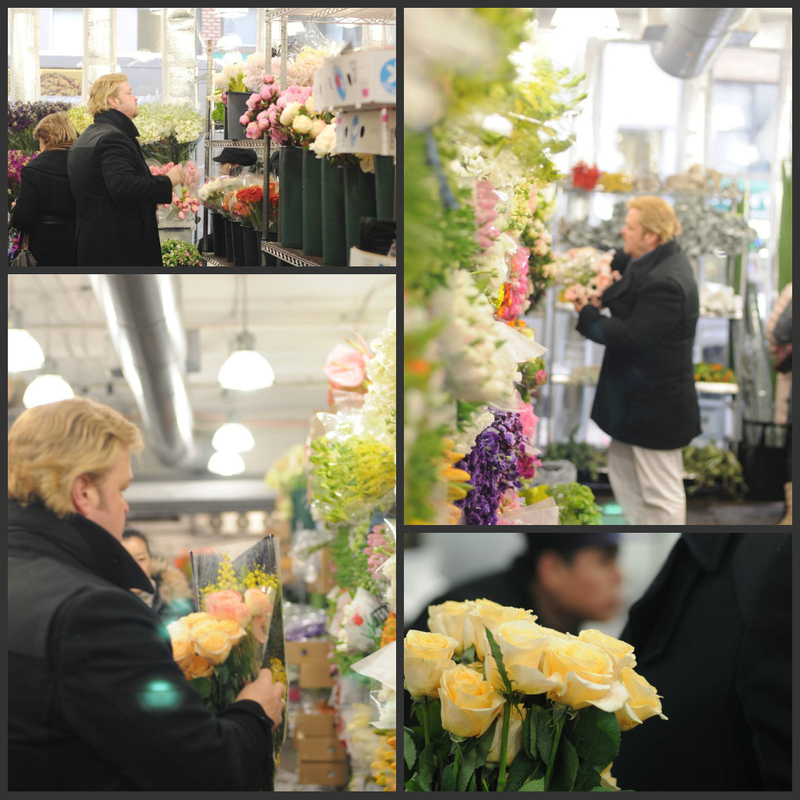 So I tagged along with Ed Libby to the Flower Market in NYC last Friday. First of all I couldn’t believe I remembered most of my “flower training” from working at the bakery. Second of all, I can’t believe I got to see the live versions of everything Ron Ben-Israel and crew used to make in sugar. Third of all, this was the first time I got to see Ed Libby and his creative genius. Ed Libby at the flower market, making his choices for The Knot. 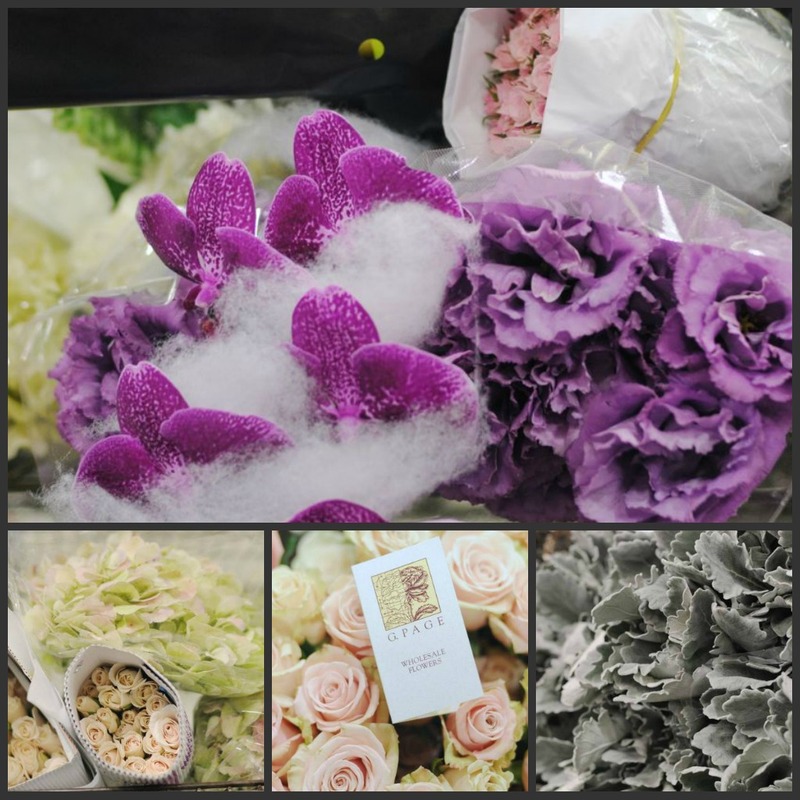 It’s best to get to the flower market early so you can get the best picks for the day. When we arrived at G. Page, Ed walked a round a few times to take it all in. We had our instructions and inspirations from The Knot, so Ed was off and running. Then he just started picking things off the shelves and creating 4 of the most amazing bouquets I have ever seen in person. He put colors together that I would never have thought of, and the mixed the textures of the flowers to leave a lasting impression. Some of the choices Ed made to make the bouquets. Once again, I take away valuable knowledge from my job. Do not be afraid of mixing color palettes and textures. The end result can be nothing short of STUNNING. Next week I will post the final product! Happy 2013 to you Rebecca and fab post! Looking forward to seeing the results! Love the updates! Just wanted to let you know you should correct “off and running” instead of “of and running”.